Enterprises are deploying SD-WAN solutions to provide secure and direct branch connectivity to the cloud while lowering overall WAN costs. By Rami Rammaha, Director of Product Marketing, Silver Peak. AS ENTERPRISES continue to rapidly migrate applications and infrastructure to the cloud, SD-WAN technologies are quickly gaining traction. Industry analyst firm IDC estimates that 80 percent of business is transacted from branch and remote offices, which is driving enterprises to deploy SD-WAN solutions to provide secure and direct branch connectivity to the cloud while lowering overall WAN costs. 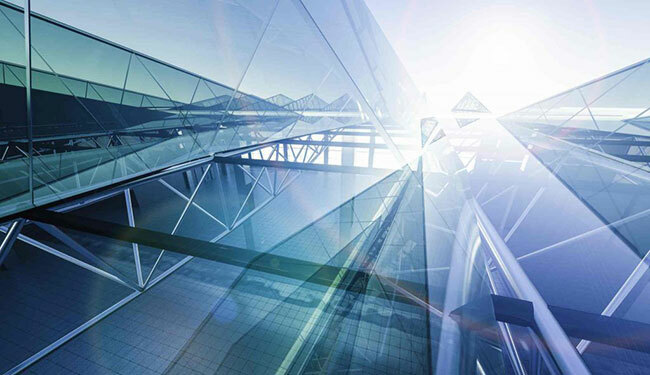 The Silver Peak Unity EdgeConnect SD-WAN solution has been engineered from the ground up for the cloud. Microsoft’s recent announcement of the Azure Virtual WAN service comes in response to customer demand to optimise branch connectivity to their IaaS, PaaS, and SaaS cloud services. By integrating with the Azure Virtual WAN service, Silver Peak enables enterprises to easily connect branch sites and users to Azure services and Microsoft’s global IP backbone. Connecting branch sites directly to Azure enables enterprises to accelerate strategic cloud initiatives. As Azure Virtual WAN creates a backbone with PoPs distributed across the globe, WAN traffic is automatically and optimally routed to Azure data centres. Furthermore, the integration of Unity Orchestrator centralised management software for EdgeConnect with the Azure portal, simplifies branch office orchestration and management. With Orchestrator, network managers can quickly configure sites, setup IPSec tunnels and establish application policies, all with a few mouse clicks. The site-specific details such as public IP, site name and subnets are exported to the Azure portal via a RESTful API. The result: IT can streamline the management and automate the deployment of IPsec tunnels from a single unified, integrated tool enhancing IT experience. Organisations will be able to enhance overall application performance by steering traffic to closest hub boosting user experience and optimise operational efficiency by scaling branch connectivity. In addition, with advanced capabilities, EdgeConnect delivers predictable application performance over any transport and consistent end-to-end secure segmentation across the LAN-WAN-LAN/DC. These benefits are realised when application traffic is transported between EdgeConnect appliances whether they are deployed in branch offices, corporate data centres or in the Azure public cloud. As enterprises continue to embrace the cloud (according to RightScale 2018 Sate of the Cloud Report, 80 percent of enterprises are either hybrid or multi-cloud) for scaling, flexibility and performance, it is critical for enterprises to pick a proven-solution to provide best user experience.